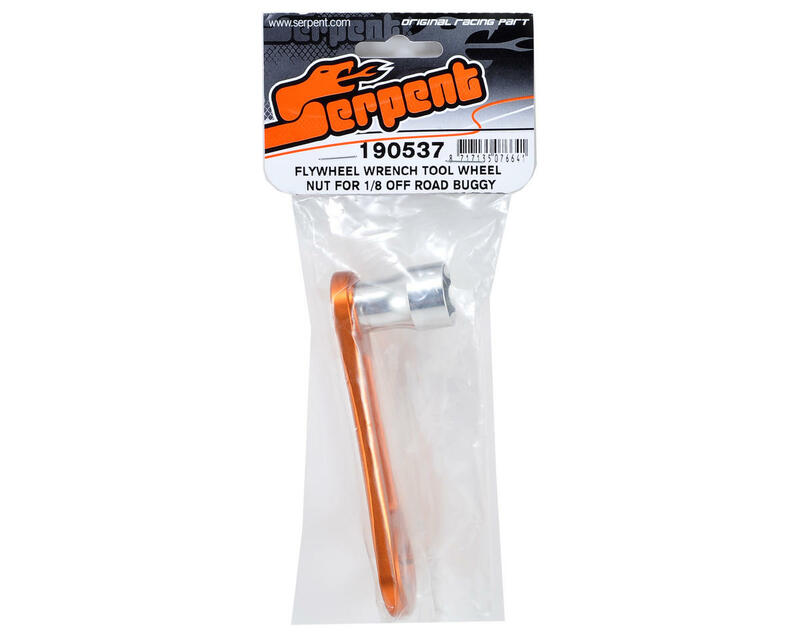 This is the Serpent 1/8 Off Road Flywheel/Wheel Nut Wrench Tool. 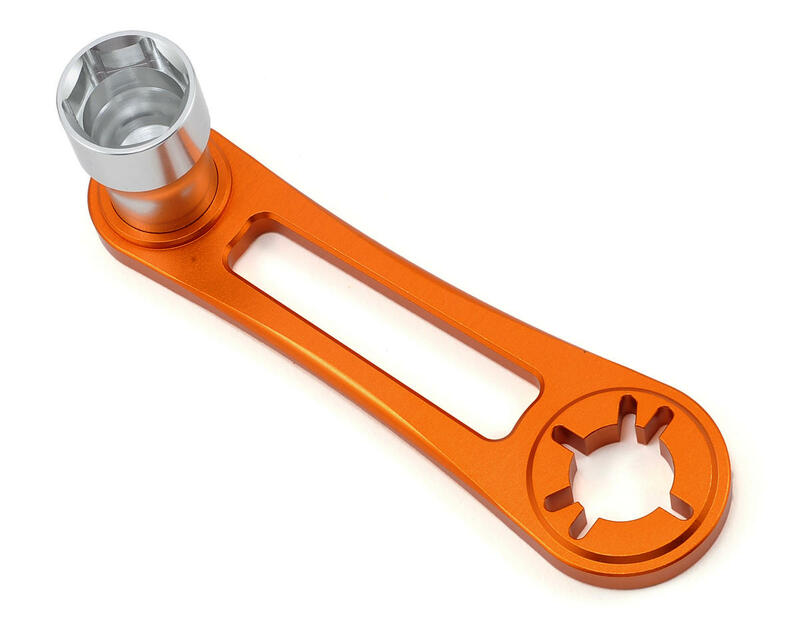 This billet aluminum wrench features a combination 17mm hex/flywheel wrench. The wrench by itself is perfect for removing the wheel nuts on 1/8 buggy and truggy wheels, while the flywheel wrench on the opposite side can be used with both 3 pin and 4 pin flywheels.